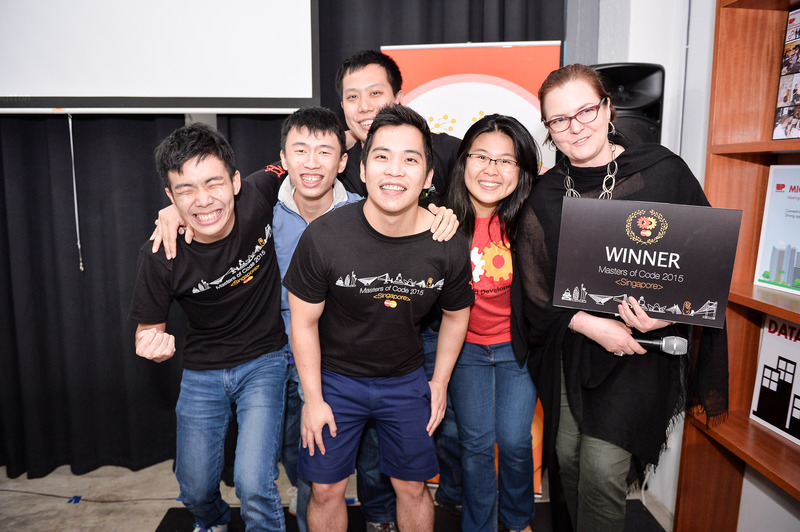 An app that teaches girls and women how to code, and a solution that allows you to buy or sell meals within your neighbourhood, won the top honours at the MasterCard Masters of Code competition organized by MasterCard and AngelHack on 28 and 29 March in Singapore. 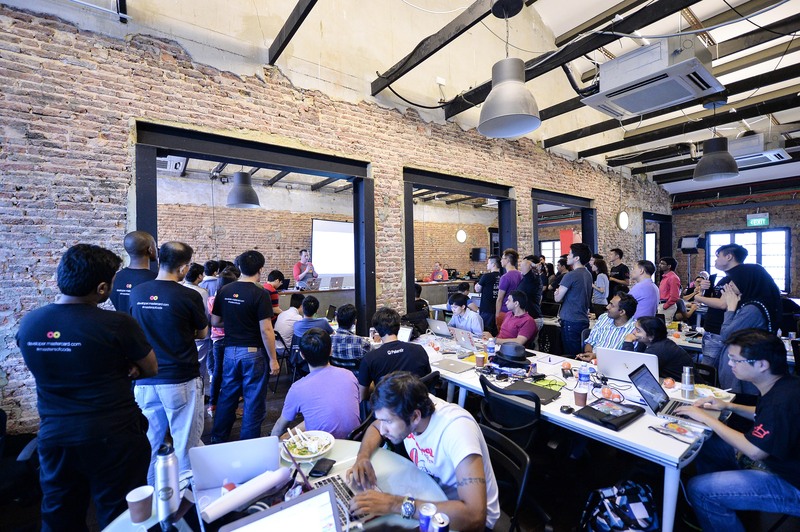 More than 120 participants converged at co-working space 237.io – coders and designers packing two floors for a weekend devoted to creating solutions to move commerce beyond cash, and improve the shopping experience utilising MasterCard APIs. Working furiously over a tight 24 hour period using the MasterPass, SimplifyCommerce and MoneySend API’s, among others, the teams delivered an impressive variety of apps to the judges. The winning idea was to develop an app to get girls interested in coding the fun way, as women are severely under-represented in the technology field even today. Called ‘One Small Step’, it will provide women and girls with a better understanding of the technology around them by incorporating an element of education into engaging coding-centric games. In line with the focus of the Singapore hackathon to empower women through commerce, women purchasing the app will have the option to donate money to a scholarship fund for women through a NGO. Runner-up, ‘Meal to Me’, is a meal sharing app that allows users to see what people within their vicinity are cooking using real time maps. They have the option to buy and sell meals to one another, and rate each other’s cooking through reviews. It allows anyone to share their love for cooking with their neighbours. The competition saw a broad range of participants, an impressive 21% of whom were women. Another woman-focused entry, which received honourable mention, was ‘Rebound.Me’, an e-commerce website targeting females between the ages of 20 to 35 years who are recovering from a break up. The app will be curated to fulfil women’s shopping needs in what they’ve labelled the three phases of recovery – 1) grieving (chocolates, candles, etc. ), 2) embracing new experiences (new experiences like sky diving) and 3) helping others (donate to poor and needy women, single mothers, etc.). All teams received mentoring and guidance during the hackathon from experienced MasterCard developers, who assisted with both commercial input and the coding itself. The winning team – ‘One Small Step’ – of five participants (one of whom is a woman) will be flown to Silicon Valley later this year (after seven more cities around the world hold their own Masters of Code hackathon). They will compete for a grand prize of US$100,000 and have the opportunity to further develop their app with mentoring from MasterCard. They will also receive a MasterCard Priceless California experience in Napa Valley and San Francisco. Spotlight on the young & determined: meet some of the developers who participated in the Masters of Code hackathon in Singapore. Read about the successes from the Asia Pacific leg of the Masters of Code global hackathon series.